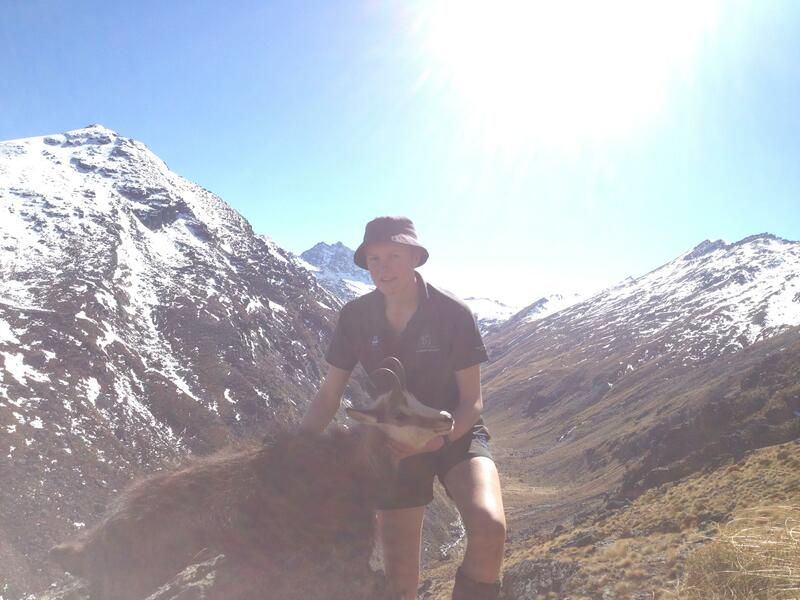 On Monday i decided i would take my mate hunting for his 17th birthday. He had never done any form of hunting before except shooting the odd rabbit. I decided to also try a new spot that looked alright on google earth in the process of taking him hunting. 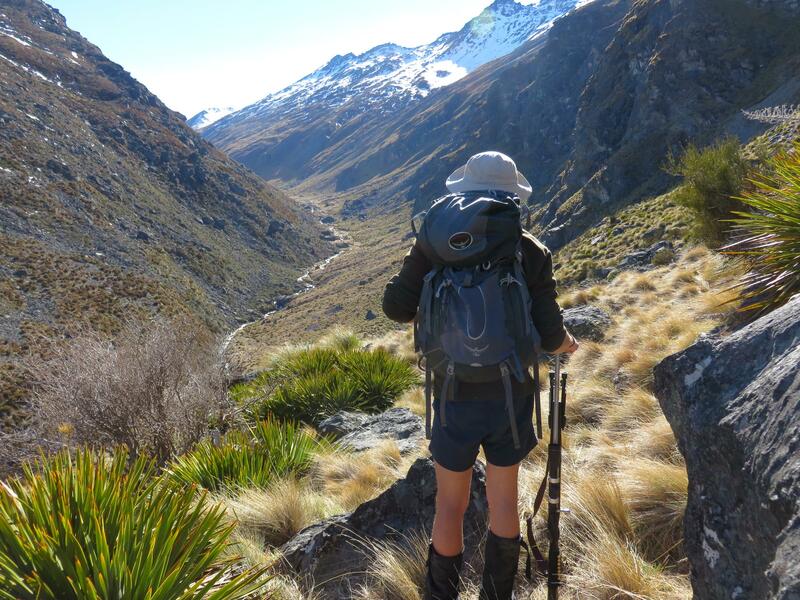 we arrived at 7 and began the 2 hour walk to the bush edge. 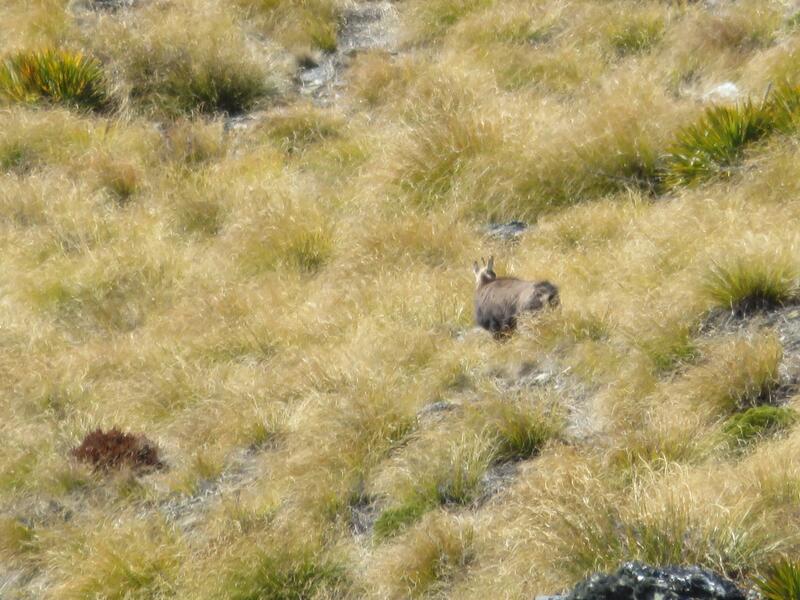 after only glassing for 5 mins we spotted two chamois on the horizon about 400m away. they soon bolted and i decided to go round and up another gully to get ontop of them. after a steep one and a half hour climb we sat down to glass again. After about 20 mins of seeing nothing we decided to move on. But before we stood up I saw a distinctive white face peering at me. I handed him the gun and we stalked closer to ensure a safe shot. 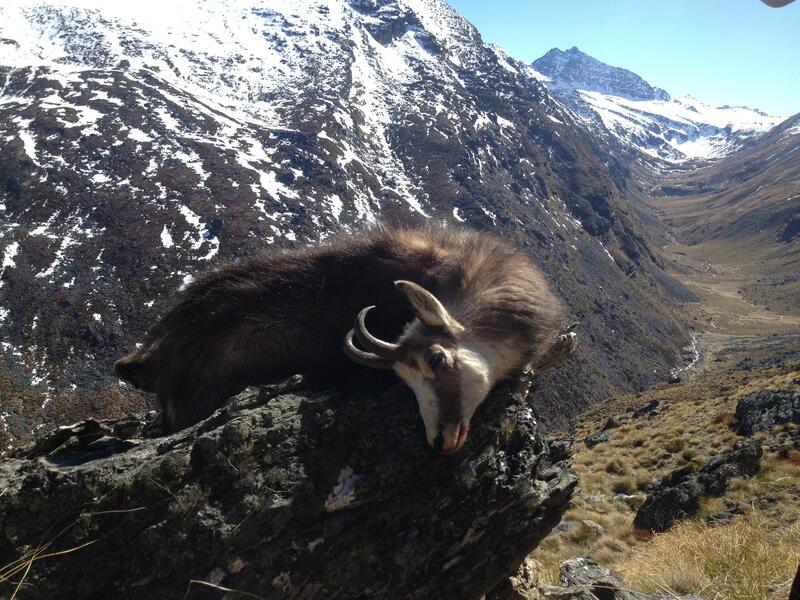 At closer inspection i saw the chamois was not overly mature but thought what the hell its his birthday and it would be awesome to get something on the day.He squeezed the trigger and poleaxed the cham through shoulder dropping it instantly. He was absolutely stoked to say the least and i thought he really deserved it after the steep 3 and a half hour climb for someone that has never done any hunting. 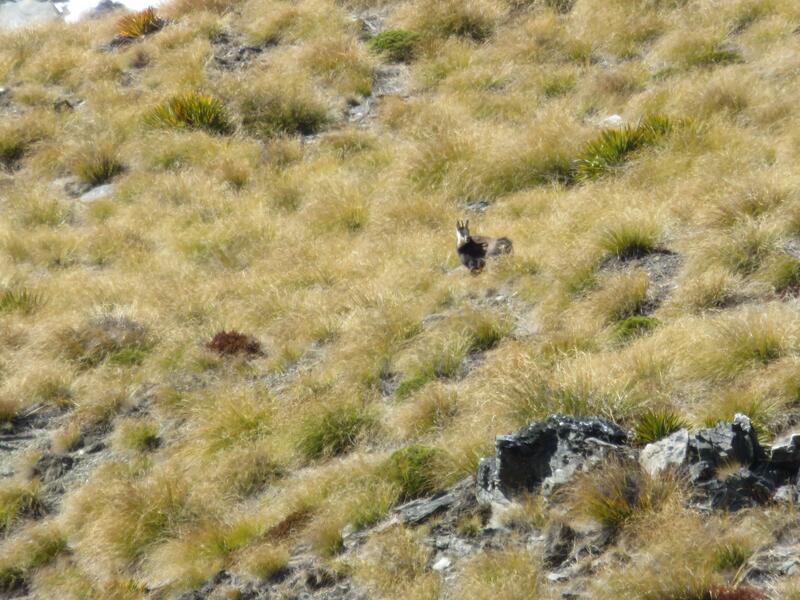 We continued on over the ridge as we had plenty of daylight left and i really wanted to get some live chamois photos. I saw i likely looking bluff system and crept in to have a look. Nothing. 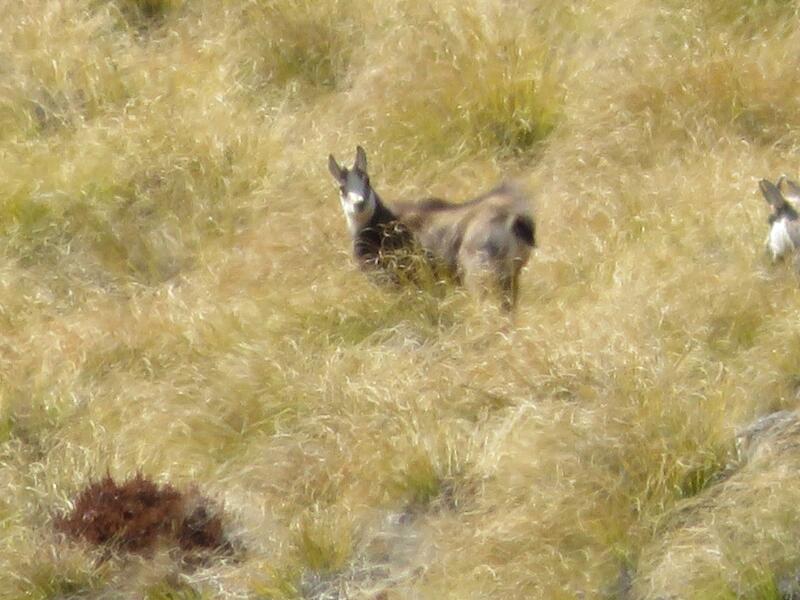 as i turned four chamois bolted up the hill stopping occasionally to look back i got out the camera and manged to take a few at a distance but with no tripod . 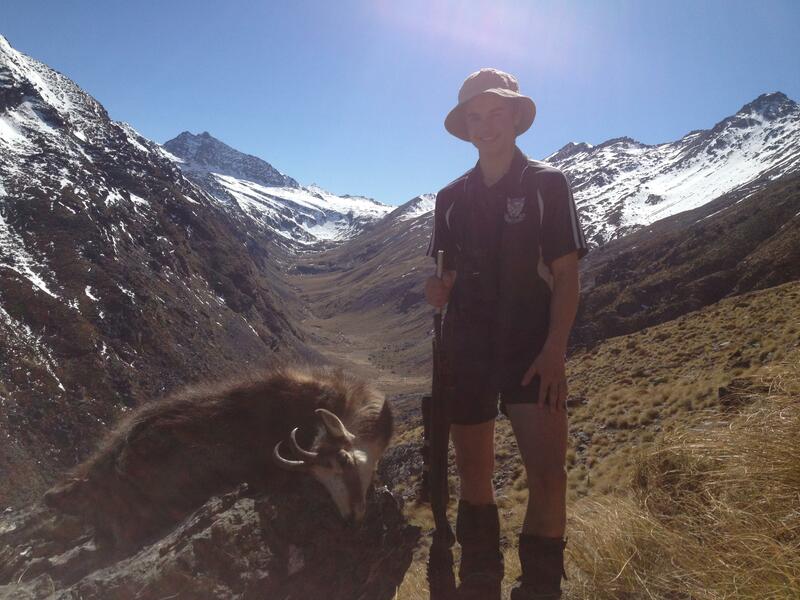 7mmsaum, Tahr, outdoorlad and 11 others like this. Good stuff. 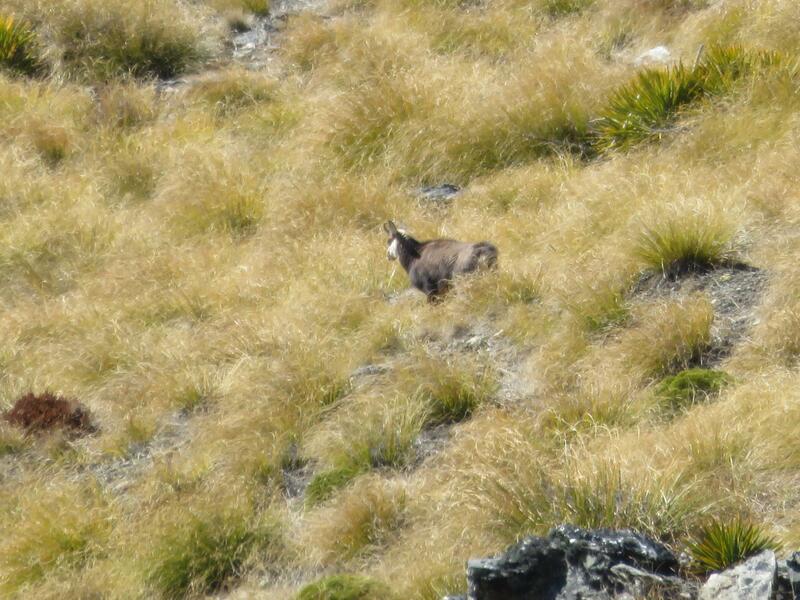 Chamois are a great animal to hunt. Think I know where it is too, but I won't tell everyone! Successful hunt with the young dog. All times are GMT +13. The time now is 04:56 PM.